Named for the so-called laughing gulls which formerly used the island as a nesting site, Laughing Bird Caye is a small (1.8-acre/0.73 ha) island located approximately 11 miles (17 km) off the coast of the Placencia Peninsula in southeastern Belize. Today, the island is the epicenter of Laughing Bird Caye National Park, a protected nature reserve that includes the island as well as the surrounding waters. 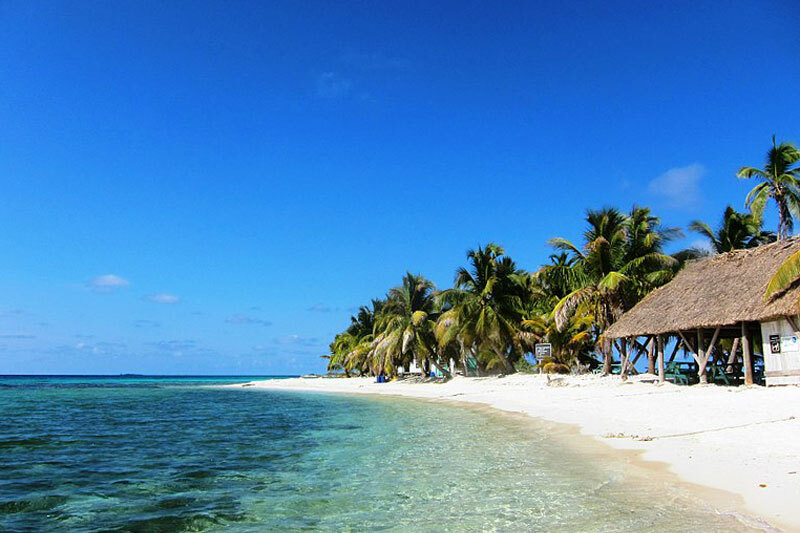 First designated a national park in 1991, Laughing Bird Caye National Park is a popular destination for snorkelers and scuba divers thanks to its geographic features and abundance of marine life. Technically, Laughing Bird Caye is what’s known as a faro, an angular stretch of coral with a lagoon in its center. The island is the southernmost island along the central region of the Belize Barrier Reef, placing it in the middle of one of the busiest “thoroughfares” used by marine life to transit in and out of the area. The steep sides of the faro are simply excellent for diving as are the deep channels that run along the outer edges. This unique geography makes Laughing Bird Caye National Park a great place to see different types of marine life, including several varieties of coral that form “ringed reefs”. There are three different areas of coral in and around the island, including one big reef in the central lagoon, some on the outer rim, and several patch reefs in the lagoon. This variety in form and relatively shallow water (the lagoon is just 16 feet/five meters at its deepest) make for some superb snorkeling. The island itself is protected, so there are no human residents, but the pristine condition of the island makes it a great place to spot wildlife. The laughing gulls are mostly gone, but other birds can be found on the island, including green herons, frigate birds, and the endangered brown pelican. Flora that can be found on Laughing Bird Caye includes coconut palms, morning glory flowers, spider lilies, and both red and black mangrove trees. Snorkelers, scuba divers, and adventure travelers interested in discovering Laughing Bird Caye should stay at the beautiful Laru Beya Resort on the Placencia Peninsula. Laru Beya organizes tours of all of the top spots on the reef, including the Gladden Spit and Silk Cayes Marine Reserve where whale sharks congregate every year between March and June. Visit www.larubeya.com to start planning your Belize vacation.